A good education is the foundation for success in any field. To get good education, you need a quality and reputed institute. This is what Canada offers to its students. The internationally reputed institutions offer you an all-rounded educational experience. As a student, you get exposed to a diverse experience and a chance to learn a new language in a new country. When the country is the beautiful, developed and culturally rich Canada, the experience isn’t just educative but exciting as well. The study programs are also varied presenting you with various options. You can study a subject of your choice and excel in it. After completion of your studies, you can also opt for working in the country and eventually apply for permanent residence. 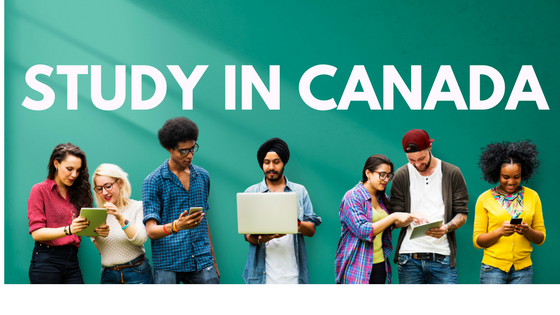 Canada, with its beautiful environment and natural surroundings and its favourable atmosphere for students, is just the right place for studies. The degrees you get in Canada are internationally accepted and you can work anywhere in the world with the educational qualifications you get from the country. Students wishing to immigrate to Canada can opt for a few weeks’ summer camps or enrol in a program to enhance their knowledge of English or French. Learning the languages can also increase your chances of securing employment in Canada. Be it a short-term course or a long-term one, educational programs in Canada are worth giving a shot. The Canadian Government also has various facilities for students to get a visa as quickly as possible. You may also can get more information from Siminca; Society of Immigration and Investment in Canada and Find out how Siminca will help you immigrate to Canada. For students to immigrate to Canada, you need a student visa. You will have to go through a multi-faceted process. A visa counselling firm can be a huge help in getting a student visa to Canada. You will find many companies that offer a helping hand. A reason these firms can be helpful is that they are aware of all the procedures well and will be able to guide you to which way to proceed. Having someone to help you get the student visa means you do not waste your time or efforts in the wrong directions. First, you need to get a study permit. There are Designated Learning Institutions or DLI where you can study. The institute needs to offer you an acceptance letter and then you can apply for a student permit. Students with valid student permit are only allowed to travel to Canada. Follow the specified procedures and get your student permit so that you can start your studies in Canada. When you immigrate to Canada as a student, you are giving yourself a chance to be a permanent resident of the country. After completing your education, you can choose to work in Canada if you wish and thereafter, apply to be a citizen of the country.